Spirituality means different things to different people. You can have your own interpretations about what a film means to you. Sometimes movies with the simplest of plots can be a spiritual experience — because of the way it touches your soul. The following list of top spiritual movies ever touched me deeply. See, if they also love these best movies about spirituality, enlightenment and awakening. You can some of these best spiritual movies on Netflix, Hulu, or Amazon Prime. For the audience ‘Ordet’ is a difficult film to watch, but once you’re watching you’re hooked. Based around a family in Denmark during the early 19th century, a film which tests the religious values of its actors by the incidents what occur. Great lighting is used during one scene as a tracking shot of a man walks slowly towards the open casket, which really captures the emotion of the characters and the dread they’re feeling. Carl Theodor Dreyer is regarded as one of the absolute best directors that world cinema has had to offer, and with overwhelming reason. His films had a realism to them unlike any other, and his emphasis on vivid, indelible imagery resulted in some of the best cinematography in film. ‘Ordet’ (‘The Word’) is arguably, the finest work he ever made. Religion plays a crucial role in this quietly touching and sombre drama. It centres on a rural Danish family in 1925, with the patriarch Morten Borgen (Henrik Malberg), his three sons Mikkel (Emil Hass Christensen), Johannes (Preben Rye), and Anders (Cay Kristiansen) and Mikkel’s wife Inger (Birgitte Federspiel). A religious clash occurs between Morten and the local tailor, Peter (Ejner Federspiel) because of their children’s (Anders, and Anne, played by Gerda Nielsen) desire to marry. The astonishing happenings that then tide over the Borgen family underline the film’s emphasis on faith beyond religion and animosity. ‘Ordet’ is Dreyer’s masterpiece of emotion, with an exceptional handling of a sensitive subject. Godfrey Reggio’s film shows the contrast between humanity and nature as it goes on a spiritual journey contacting from beyond the realm of communication. Throughout the film a compatible connection between both society and mother earth is formed as it shows how humanity is destroying the earth through the essence of music mixed with emotional takes on the destruction of forests and desolated land. There’s a lot of messages within the film but it’s all based on your own interpretation, what I got from it was that it tried to give an insight on how we can take precautions and how we can preserve the wildlife and habitats. Time doesn’t matter it’s what we do with it. This is an example of cinema in its purest form, using just visuals to express something. It also speaks of how sometimes silence can say more than words. Alain Resnais first feature film was revolutionary in terms of French wave cinema, this deeply emotional written script was based on a love affair between a Japanese Architect and French Actress. ‘Hiroshima Mon Amour’ starts off with a very disturbing and haunting introduction as it talks about the bombings of Hiroshima, using stock footage of the bombing and the aftermath that it caused to give you that unsettling feeling as the film uses flashbacks as a cinematic tool to retell the horrors of the second world war and nuclear warfare. This 1959 work of art is classed as one of the finest pieces of French wave cinema in history. ‘Hiroshima, mon amour’ weeps. It whimpers and bleeds sorrow from every pore that it’s gorgeous, perfect, powerful, horrifying, hellish nightmarish frames hold. Then suddenly it soars, full of life and love and passion- before sinking into existentialism, grief, guilt, isolation and a relatably chilling human fear. It’s a film of feeling that flows as a river through a countless stream of ideas, ideals and brutal revelations that work on more levels than you’d expect a 90-minute movie could manage, let alone one as expansive and epic as 4 hours in length. Director Alain Resnais imbues every moment with meaning and that is why it’s up here, why it’s the best and dare I say the greatest piece of work the Nouvelle Vague ever produced. Like ‘La Jetée’, it’s an inspired piece of editing that escapes the calculated coldness of its technique to bring us something richly intimate and involving. 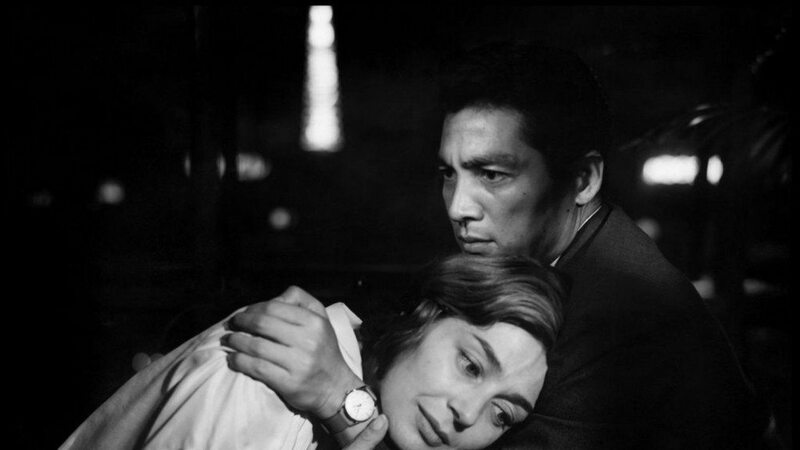 Resnais’ films, however experimental, are always incredibly involving to watch evolve and ‘Hiroshima, mon amour’ is doubtlessly the very best of them. Timeless. 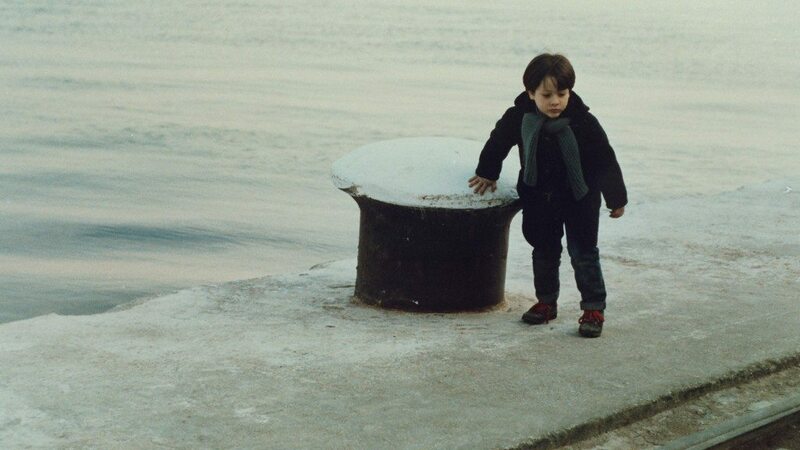 One of Greek director Theo Angelopoulos’ finest (and most accessible) works, ‘Landscape in the Mist’ follows two children who abandon their widowed mother in search of a lost father. Along the way, we are treated to the man’s characteristic neutrality- never straying too far between extremes of emotion and making every extreme feel both organic and dramatically rousing. 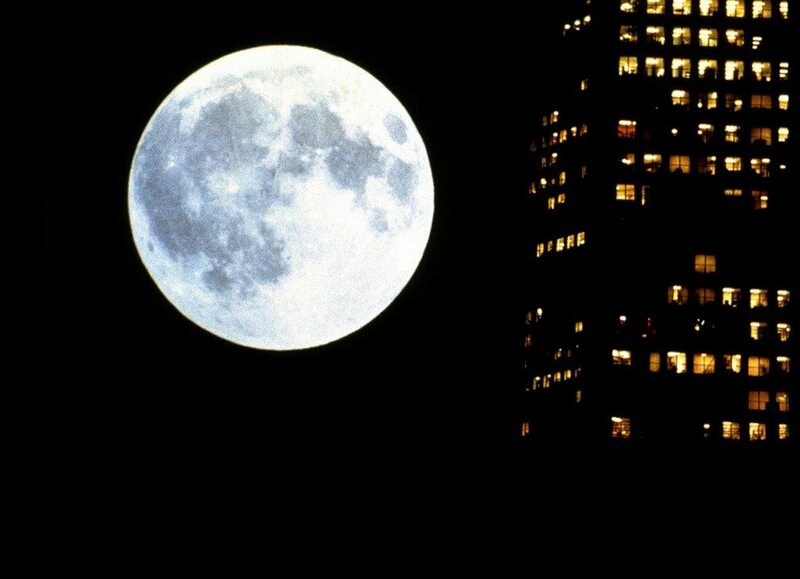 Two scenes in particular make this 1988 drama an essential watch for all fans of cinema and especially those uninitiated with the director’s work- but I dare not spoil them. To divulge any scene or secret Landscape in the Mist holds would be to do its uniquely hypnotic power a disservice. Moving at a slightly challenging pace despite its length- the movie’s greatest moments with nonetheless move you beyond measure. A towering treasure of niche cinema. Tackling the impossible by trying to allow us to empathize with the mind of a man who has closed himself to the outside world, Andrei Tarkovsky’s dedication to his life-long adoration of art differs from ‘Cinema Paradiso’ in that instead of being rewarded after years of bitterness and regret with the revelation that all is OK – our protagonist Andrei here discovers nothing. Nothing at all! Not that he was wrong and there was no hope to begin with – just an absolute lack of any stimulation – from either pain or pleasure. 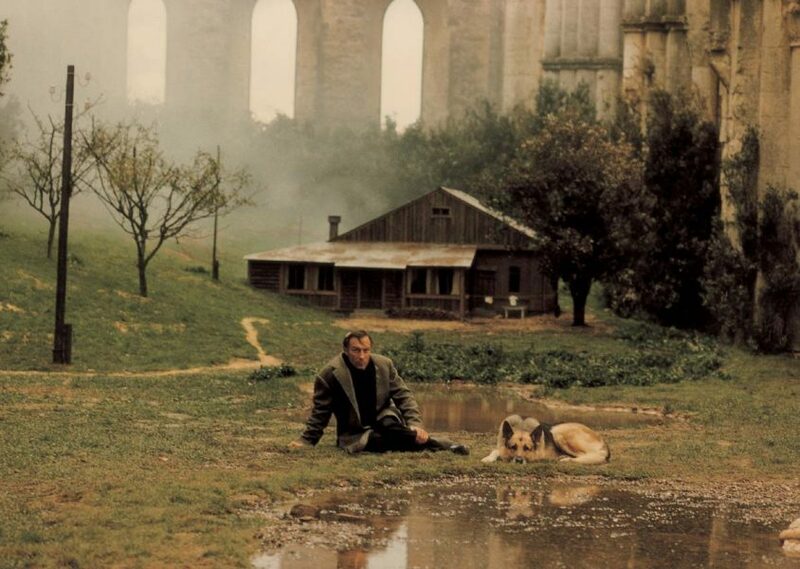 Tarkovsky’s film deals with a Russian who is wandering about Italy, attempting to re-ignite any passion for life by tracking through the most beautiful part in the world. He drifts through churches, broken down museums and abandoned ruins in the hope of finding something to keep him going. As an audience we marvel at the gorgeous photography and breath-taking beauty that surrounds Andrei. The man, however, feels nothing. And then at the end we watch him attempt to carry a lit candle across a ruin for a sold seven minute tracking shot. No explanation. No catharsis. As observers we have to wonder why: To beg for an answer. Why? Why the hell would he waste the last of his life to attempt such a futile endeavour? What will this accomplish? Something? Anything…? Exactly! 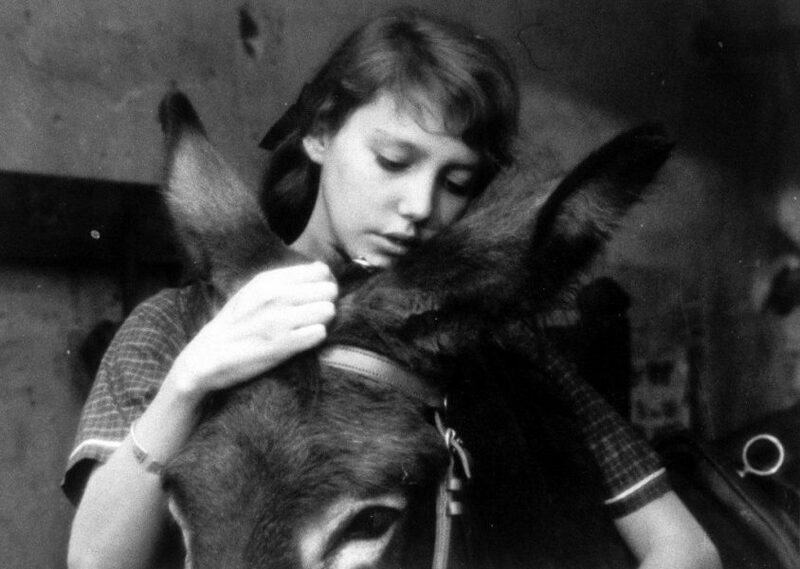 Considered to be one of the greatest cinematic works of the twentieth century, Robert Bresson’s film ‘Au Hasard Balthazar’ narrates a story of a donkey named Balthazar and the life it lived through. Throughout the film, you see the donkey witness various types of abuse by the number of owners which it had. Balthazar wasn’t the only thing that witnessed abuse Mari was mentally and physically abused but throughout all this love and affection was more than enough for this special donkey. In some ways, Balthazar was represented as the obstacles we encounter throughout life. Questionably Nouvelle Vague considering Bresson’s long-established style, ‘Balthazar’ is nonetheless unique for its protagonist being a donkey and involved with the movement through Goddard volunteering to cut its trailer. What the continuing evolution of Robert Bresson’s method in conjunction to an explosion of creativity brought on by Breathless birthed was an austere flick that still manages to be ambitious both thematically and stylistically. Bresson makes himself comfortable outside of his comfort zone tackling a non-human subject and yet still somehow illuminating a remarkable amount of human cruelty and tragedy in a way even movies centred solely around people struggle to compete with. It’s a work of invigorating emotion and prevailing warmth that eclipses the malice of many of its characters- which speaks to the power of the character of Balthazar and the fantastic way Bresson highlights and magnifies the tiniest expressions of an animal. Unique and ever-moving. 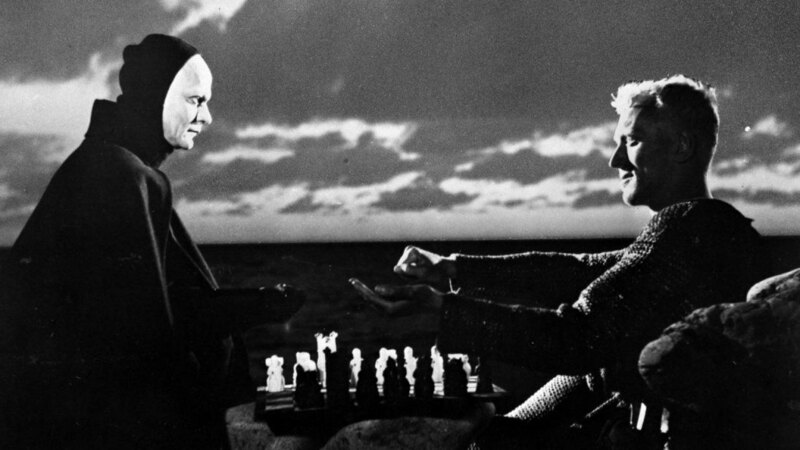 Ingmar Bergman’s take on philosophy and religious beliefs during the Black Death, this film portrays a game of chess between death and a medieval knight and the human incarnation of death. In my opinion this film raises a lot of questions based around life, death and the presence of god, as this is shown by the multiple characters we meet throughout the journey. This film has become a cult classic over the past six decades. From the very first images of Bergman’s iconic document on faith, fear, and contentment, there is a spell cast on you. The stark, grainy look at the sea, the coast and on it a courageous knight and his fateful encounter with the personification of death defines the film’s clarity of objective, even if it leaves scope for a seductive, almost terrifying ambiguity to be present constantly. Benefiting from a magnetic performance from the incomparable Max von Sydow and a band of actors who elevate Bergman’s astonishing material, based on his play, “Wood Painting”, to unexpected levels, ‘The Seventh Seal’ in its meager 90 minutes has the influence of an old fable passed down through generations that propels imagination far more expansive than it itself can hope to contain. Gunnar Fischer’s sparkling, crisp black-and-white ensures that the harrowing intensity crawls under our skin. The stream-like fluidity is a result of a narrative unfurled with sublime confidence and a tangible levelheadedness. It may be a thoroughly simple story, that nonetheless harbors valuable ideas in its bosom, but it is sewn with a fabric so intricate and bold, you can’t help but look at it over and over for it to translate into a lasting memory. A difficult viewing experience from the get go, helped by the ominous music playing in the background as we see a cab driver struggling to drag his horse back on their journey home. 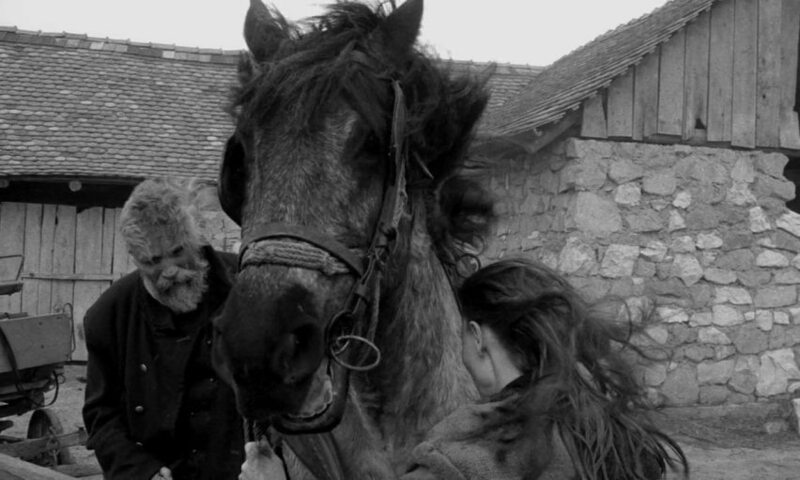 Béla Tarr may put off a lot of people but he is most certainly one of the greatest predecessors of slow cinema movement, as he envisioned a new cinematic tool to show the art within his work as it’s filled with anguish and despair. This is his final film as he announced his retirement from film making and the film is meant to be inspired by Friedrich Nietzsche. ‘The Turin Horse’ follows the life of a cab driver, daughter and their horse and is set across six days, which represent the end of days. The family have a psychological breakdown which leads to an inevitable death, as they try to proceed through their day to day activities acting like everything’s the same as it once was, in hope that the horse regains full health. Shot in Tarr’s own unique style in only 30 takes, one of the most emotionally draining film I have ever seen. It’s certainly not an inspiring or uplifting film as Tarr slowly drains every ounce of joy from life as he paints the portrait of humanity coming to the end of existence. Andrei Tarkovsky, a visionary philosophical filmmaker from 1962 through to 1986, made this artistic film in 1975 during Soviet Russia. Tarkovsky formed his own cinematic language; using aesthetics of life and haunting reflections of childhood throughout his film ‘Mirror’. The film has an unrestricted flow of human emotion and on-screen poetry complimented by the stunning cinematography, shot by Georgi Reberg. Tarkovsky effectively used his father’s poetry to probe the emotional truth about his parents’ relationship, as well as quoting four of his poems shared by a personal artistic core between Andrei and his father. ‘Mirror’ narrates a dying poet recalling memories from his childhood and tragic events which devastated the people of Russia, virtually plotless this visually stunning imagery follows a nonlinear narrative which was nearly deemed incomprehensible by critics on its initial release. As time passed people began to respect the film more classing it as one of the best films of all time. Largely considered as one of the finest films of all time Andrei Tarkovsky’s ‘Andrei Rublev’ takes us on a spiritual journey based on a 15th century iconic painter, yet we throughout the entire film we never see him paint. 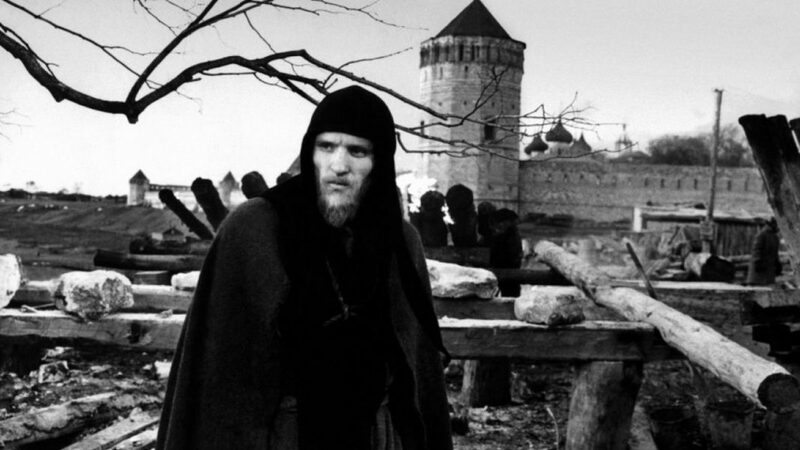 I believe ‘Andrei Rublev’ is the greatest example of Russian auteur Andrei Tarkovsky’s concept of sculpting in time. A lot of his latter work was abstract, as he dealt with incredibly personal themes and visualization, which was scattered throughout periods of time. With ‘Andrei Rublev’, Tarkovsky captured time itself and then stroked it with the deepest hues of an artist’s soul. Tarkovsky’s probably the only filmmaker who could scale the highest achievement in depicting an artist’s repression. He explores the oppressive regimes of Russia that are as indigenous to the country as its profound literature which has surprisingly questioned the most compelling questions concerning the spiritual and metaphysical. Many of Tarkovsky’s later traits, including filming the flow of nature can be observed in Andrei Rublev’s journey. It is a film that movies you, shatters you and makes you think — both during film and long after the credits have rolled.